عندما تزور سيدني, ستشعر أنك في بيتك في Sydney Harbour YHA الذي يقدم لك إقامة متميزة و خدمات عظيمة. يمكن من هنا للضيوف الاستمتاع بسهولة الوصول إلى كل ما تقدمه هذه المدينة النابضة بالحياة. إن سهولة الوصول من الفندق إلى المعالم السياحية الشهيرة الكثيرة في المدينة كمثل سوزانا بليس, ارجلي كت, Parkers Sydney Fine Art Supplies هو استثنائي بحد ذاته. استمتع بالخدمات الراقية والضيافة التي لا مثيل لها بهذا الفندق في سيدني. يقدم الفندق فرصة للاستمتاع بشريحة واسعة من الخدمات بما فيها: متجر, خدمة غسيل ذاتية, مكتب الاستقبال على مدار الساعة, مرافق مخصصة لذوي الاحتياجات الخاصة, تسجيل وصول/خروج سريع . في الفندق غرف نوم يتجاوز عددها 106، كلها مجهزة بعناية وجمال وبعضها مزود بـ تلفزيون بشاشة مسطحة, اتصال لاسلكي بالإنترنت, غرف لغير المدخنين, مكيف هواء, تدفئة. يقدم الفندق خدمات رائعة كمثل مسار جولف - ضمن 3 كم لمساعدتك على الاسترخاء بعد نهار طويل من النشاط والتجوال في المدينة. يحظى فندق Sydney Harbour YHA بموقع ممتاز وخدمات يصعب منافستها. واي-فاي/خدمة الإنترنيت متاحة فقط في أماكن معينة من العقار بدون رسوم إضافية. Great location just beside Shangri-la with perfect view of opera house and harbour bridge. Impressive kitchen and rooms are clean. Joined a tour to bondi beach walk which is free and interactive and cool. I am most grateful for the professional handling of urgent matters by the staff. I did have an unpleasant incident in the hostel which started off with a crazy old lady singing in the middle of the night and the staff transferred me to a shared room. But the guy sleeping below me bed was violent and he snatched my bag and hit me. So in one night I met some crazy and violent fellows. In fact I was so scared I could only message through agaoda and the staff replied almost instantly. But fortunately the staff responded fast to both situations professionally and helping me through. I am glad to be given a private to stay in the end too. So it is reassuring to know that you can rely on the staff for help when needed. But do be watchful for females who stay in shared dorms as it is really vulnerable for women staying in mixed dorm with violent guys. I lived here for four nights in a mixed room, the bathroom and restroom is really neat. The price is reasonable. They have a rooftop which has an amazing view. The staff is really friendly but sometimes tell us some information that's not ture, so check the info twice to make sure! Have many activities you can do mostly are interesting, walkable to opera house and the train/bus/ferry station. Will recommend! Walking distance to Circular Quay and Sydney Opera House. 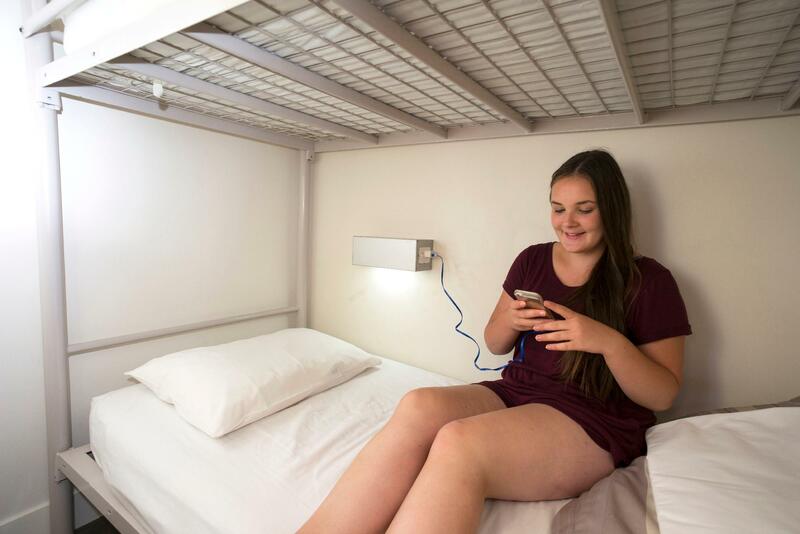 My first try of YHA in Australia! Staffs are very friendly and the room is clean. Paid less than $50 per night but you can see the 5 stars hotel view at their rooftop. Very good experience. The room was so spacious(wide) and with the bathroom inside, it was great. The bathroom and the room was frequently cleaned. The staffs were nice too. But the hostel is littel high, on the hills, so it was hard for me to get up there. Plus, there wasn't a bus station near which made it bit harder. But anyway I'll definetly go there again if I have a chance. Overall it was a nice hostel. 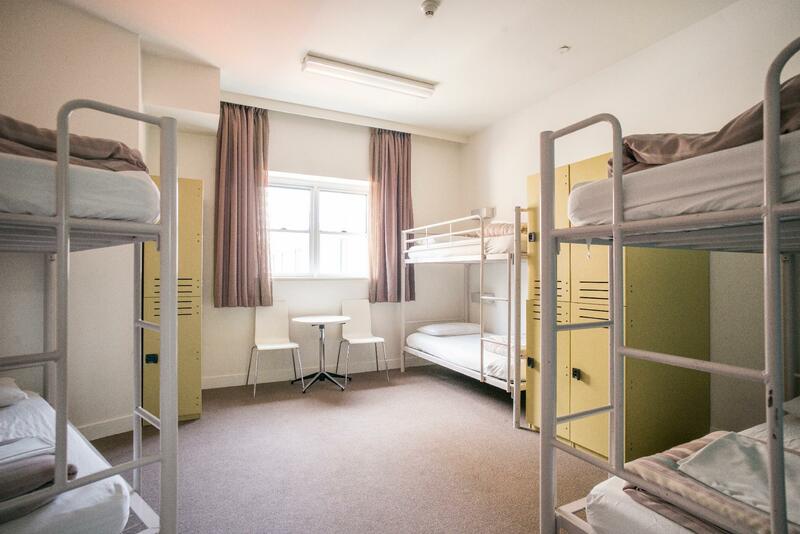 The price was slight more than the other hostel in the CBD because of its location. The rooftop terrace do have a good view of the opera house and harbour bridge and it would be nice to watch sunrise if it wasn’t because of the clouds the morning I stayed. The location is close to circular quay and the Rocks but take note of the stairs in the Rocks if you have large suitcases. It took me a bit of effort to carry my medium suitcase up and down. The beddings could be cleaner but overall it’s a good hostel! 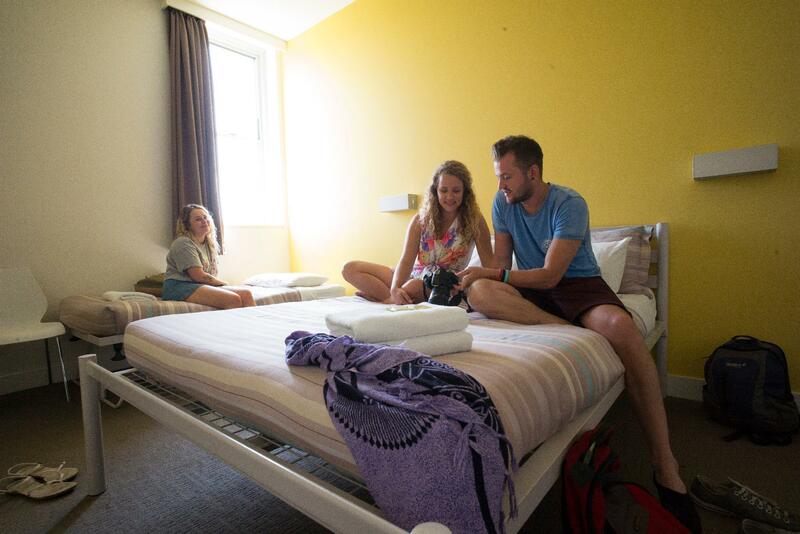 The price is a little bit higher than other hostels but you will know it is worthy when u check in. 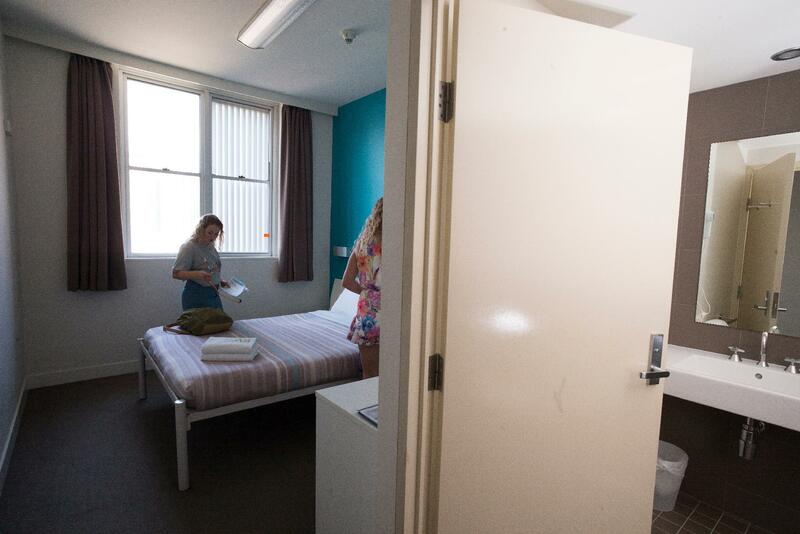 There is a bathroom and toilet separated in the 4-female dormitory so u don’t need to walk out the door to share with more people. Kitchen is well-equipped . No free wifi in the room, only free wifi in the lobby. Check out time too early. Location is on the hill, if u come from Circular Quey, need to climb the stairs, so not convenient for those carry big and heavy luggages. Other than that, it's ok. Location is in the Rocks area. U can visit famous Pancakes on the Rocks restaurant, just a stone throws away. U can easily access Harbour bridge, Circular Quey, Opera House, Botanic Gardens. 1st timers to Sydney like me, are encourage to spend at least a night here, then u will get what i meant. If u lodge on Saturday, don't miss the Rocks market there (only once a week on Sat). Room is clean and have private bathroom and toilet that share by 4 of your roommates if u choose 4 shared room. 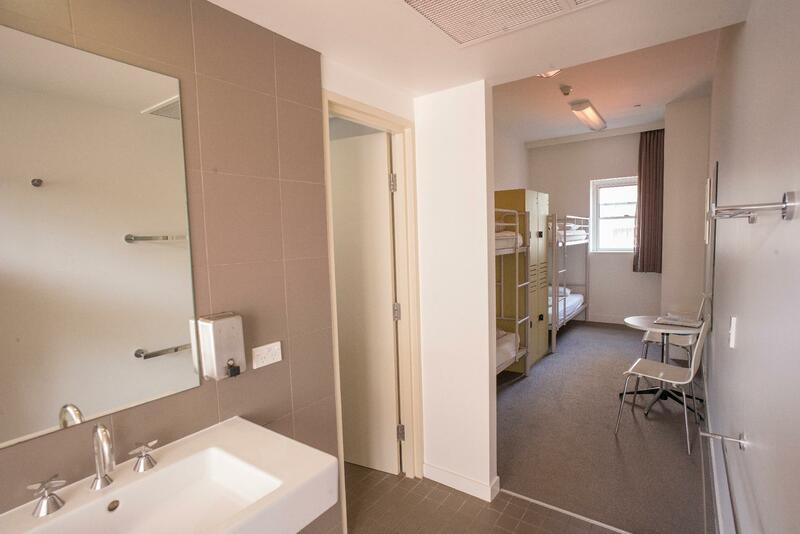 yha sydney harbour is located in perfect place. sunrise and night scenery were very beautiful when we saw them on the roof top. you can see harbour bridge and sydney opera house and several tall buildings. it is a little bit far from station and you have to go up to stairs with luggages but this place is worth it. 옥상에서 보는 일출과 야경이 예술인 곳입니다. 가성비도 좋고요. 방도 매우 깨끗합니다. 가장 기본 작은 방에 묵었는데 개인욕실 있고 tv랑 냉장고는 없었지만 옥상의 야경으로 인해 모든 게 해소되는 만족스러운 숙소였습니다. 아침도 1층 식당에서 해먹을 수 있으니 라면 가져가셔도 아주 유용합니다. 김치는 안가져오시는 게 나을거 같아요 호주 공항 들어올 때 체크하더라구요. was staying in this hostel for a single room one night. Only myself staying in a four beds dorm with internal bathroom. Very good experience staying in this hostel. The only thing disappointing was the staff attitude, which was not so polite to non-Caucasian customers. Hope this unusual case would not happen again in the future. Great stay! Enjoyed every bit of my stay in YH Sydney harbor. It's location is excellent, room better than many other hostels I have been to. Attached bathroom was comparable to a 5 star Hotel. What else can I ask for at this price! the hotel near to major attractions, only few minutes to harbour bridge, the rocks market, ship terminal, circular quay, art museum, nice building behind the hotel, and 15 minutes walk to opera house. the shopping complex is just around the corner, but difficult to find supermarket in the city area. For Muslim travelers, it is recommended to stay here. this hotel is a safe place to stay and value for money. it was great. the hotel was very near to major attractions. just a few minutes walk to harbour bridge, 10 minutes to the rocks market, circular quay and of course it is a must to visit opera house. near shopping complex, however it is difficult to find supermarkets. It was too difficult to carry a carrier because there were many stairs in too high position. when we check-in&check-out , keeping a baggage in locker to pay, and even it was not working, we can't use. the toilet's shwer head is fixed, it was so uncomfortable. this hostel is very popular but I was disappointed their condition than I expected.